January 26 at the Jacksonville Veterans Memorial Arena in Jacksonville, Florida, was packed with live music, food trucks, kids crafts and much more during a family fun day preceding a Jacksonville Icemen hockey game. The festivities supported a worthy cause: Ben’s Place, a charitable organization that helps adults who have developmental, physical or acquired disabilities. A longtime benefactor to Ben’s Place, Paul Davis pitched in to make the event a big success. 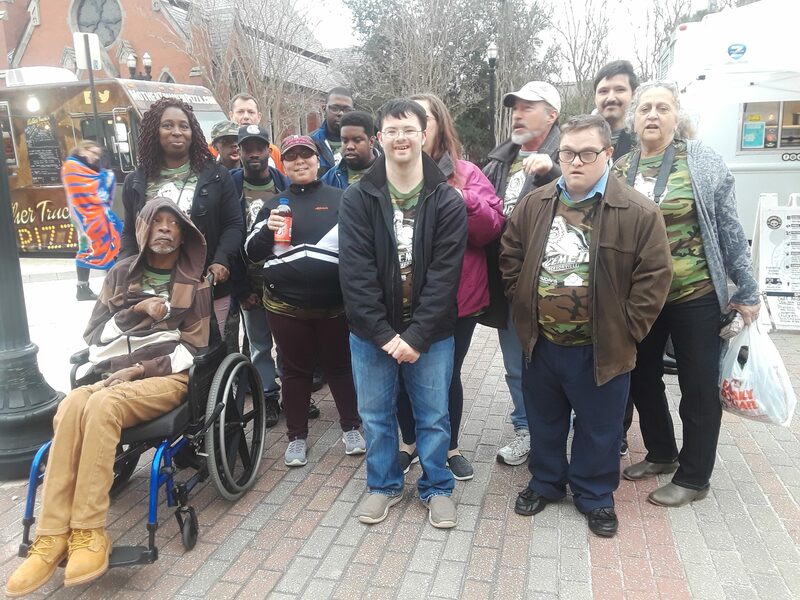 Founded in 2001 by the mother of Ben Shay, a young man with developmental disabilities, the organization offers adults like Ben a way to socialize and make friends with similar individuals, filling a social void that often develops after formal schooling ends for this group. Its 3,200 square-foot center, serving Northeast Florida, provides space for art, crafting, dancing, learning life skills, gardening and much more. It’s open 12 hours a day and five days a week for its members to come and go as they please. The ambitious undertaking keeps four part-time employees busy as well as six volunteers. The entire Paul Davis team, across franchise offices in the United States and Canada, leads by example with numerous charitable efforts and contributions. The company and its team members support a range of organizations such as the American Cancer Society, the Red Cross and Global Community Engaged Learning Project Uganda. Interested in supporting Ben’s Place? Here’s video link that you might like to view: https://fcnews.tv/2Wnz8fK. Contact Chris Thomas at Paul Davis, 904.899.6149 or email chris.thomas@pauldavis.com.